Money Q&A: How will the ‘mini budget’ affect me? Q: How will the Chancellor’s recent Autumn statement affect me and my family? A: Petrol: Chancellor George Osbourne’s ‘mini budget’ on Wednesday 5 December was good news for drivers, as the planned January 2013 fuel price increase of 3p per litre was scrapped and moved to next September. The increase would have added £2.53 to the cost of filling up an average family car. Tax: It was also good news for lower paid workers who will find themselves paying less income tax next April, as the amount that most people can earn before they pay tax will rise to £9,440, which is an increase of £1,335 from April 2012. If your income puts you on the border of the higher rate 40% income tax bracket, you could also benefit as the threshold for the 40% rate will rise by 1% in 2014 and again in 2015, from £41,450 to £41,865, and then to £42,285. Essentially it means if you get a small pay rise next year, you still might not get stung with 40% tax on the extra amount. ISAS: Savers will be able to put away an extra £240 tax free in ISAs from April 2013, but only half that can be in cash ISAs. Still, every little helps. Benefits: It was, however, bad news for those who collect state benefits as these will only rise by 1% for the next three years, which is below the current level of inflation of 2.7% – an effective cut in payment amounts for all claimants. 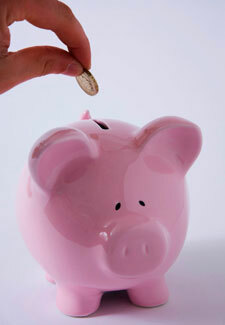 Child benefit continues to be frozen until 2014, when it will increase by 1%. State pension: And although the basic state pension will rise by 2.5% next year to £110.15 a week, pensioners won’t notice more in their pocket as this is basically an inflationary increase. Plus, high earners will see the pension tax relief limit cut from £50,000 to £40,000, with the lifetime allowance cut from £1.5 million to £1.25 million. So if you’ve been lucky or shrewd enough to put away a decent amount into your pension, you’ll now be taxed more on it – never good news. Mortgages: But there is a little relief for people struggling to make their mortgage payments. After the credit crunch, the Government introduced Support for Mortgage Interest (SMI) payments to help borrowers cope with their repayments, and cut the threat of repossessions. This help was due to be scaled back at the end of this year, but has instead been extended for another two years. So, all in all, no real surprises but a further blow for those reliant on benefits to make ends meet.